Looks interesting! Anybody tried this yet? For the electrical connection for the camera i understand that there has to be a ground and one to the reverse light. However there is one more power or ACC connection, the one with a fuse in it. Where should that be connected too? Runs around 200.00 USD if you DIY it. I am thinking of DYI to my 2010 C300 (Canada) So with Navi package and Multi Media interface thats all that you need in the car right? I am thinking of getting Kenwood ccd 2000. Sure I am in Markham area will do it for sure seen one when I test drive one and it looks cool wanna get it for my wife it will help her a lot.. lol. Just need more details on how to US versions shouldn't be much of a big difference compare to Canadian version. Yes, the MM package has already got everything you need. 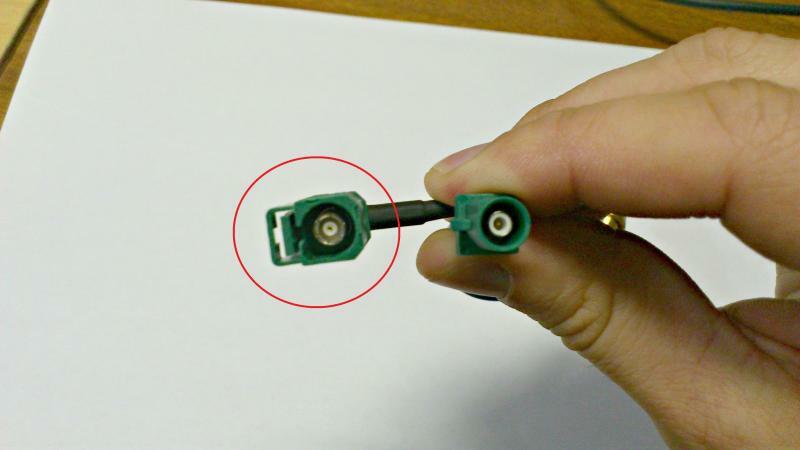 You say to connect the Red fused 'ACC' cable on the camera to the reverse light wire on the car, would I still connect the purple and white wire that came with the camera to the reverse light on the car? Sorry if that sounds confusing but I hope you understand where I'm coming from. In short just wondering if I need both the camera wires (red fused power cable and purple/white reverse sensor) to connect to the same reverse cable on the car or if I just need one of them for power. Ta. For anybody that has taken the RCA cable from the MM interface up and through the headlining of the car, once you get to the rear seats, how did you feed the RCA through to the boot? It all seems really tight around the seatbelt panel and I dont want the cable to be crushed. Any suggestions? Yes you would connect both the red wire and revesere to the reverse lamp wire. I actually put it through the child seatbealt latch, and from there through the foam and out the back. I just bought the Pioneer CCD Back-up camera - hope to install this weekend if it arrives in time. Hey nice job dude....just have a question. Did you connect to the existing head unit? yes, if you have the command system - not sure if you don't. I did the install with the Pioneer unit and it works great! I have the stock Nav system, will that cam system work with it? Just getting around to this mod in my W204. I enabled the rear view via the engineering menu. Now I'm about to order the camera. This one seems to be a nice flush install, without the hassle of cutting away portions of the plastic, and using a bracket to mount it. This comes with a drill bit (a little bigger than 3/4") and mounts nice and flush, sealed from water. Has anyone else used this camera? I see a bunch of cameras on eBay listed for around $20 that have the same or similar specs on paper, but I can't imagine the image quality is the same as a nicer camera. I would like to hear someone's experience with this camera as well. It seems like it would fit and look great, but I don't want to invest in it until I can see the output from the camera. Thank you very much for your post. I followed it and now I have my Back up Camera and VIM all set up. I did mount the Camera in the middle like you did and looks and works perfect. The whole thing including wiring, VIM and installing the Rear Camera took less than 2.5 hours.... oh and that included a couple of calls to Mid-City as mine had a couple wiring diferences compared to the instructions. they were great and very patient ..... once again thanks for the post. After some weeks reading several post`s about rear view camera install in a W204, finally i gather all the materials its needed. 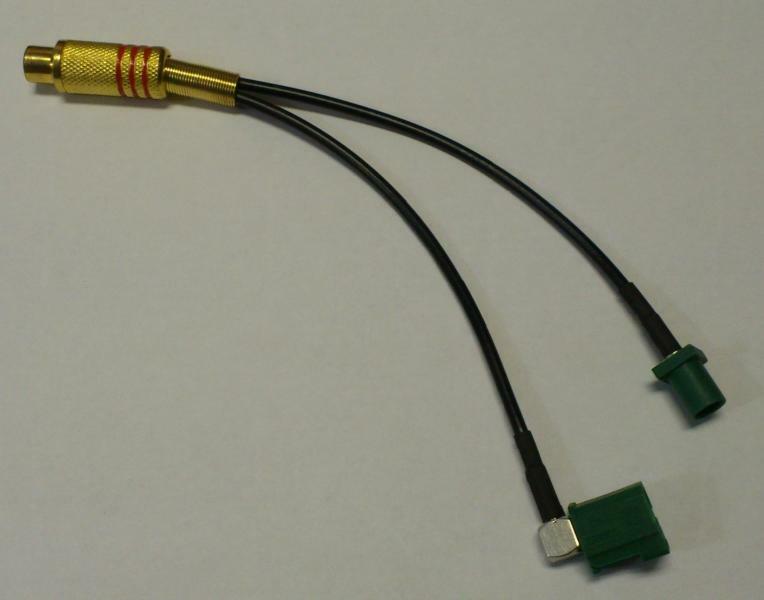 As to say, in Portugal (and rest of Europe) is very hard to find a FAKRA connector and very expensive to ship one from EUA. 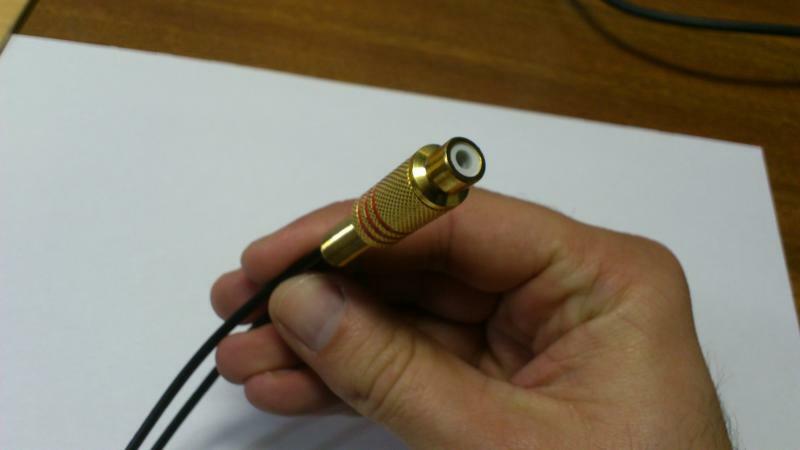 So i assemble myself a FAKRA TO RCA cable. See the pics... To say that it must be a RCA female to FAKRA E (green) female. It is best to be a right angle than a straight one. The cable i assemble i just connect a male and a female Fakra, but as i said above, it is just needed the female Fakra. Will install the rear view camera this week.. When i engage rear, the image in the screen flickers and is black and white. I have bought a PAL CCD rear view camera, the Comand is set to PAL in DVD option, rear view camera is in SRVC and my car is original for Germany. The problem is because of PAL / NTSC? Does it means that the Comand only acepts NTSC rear view cameras?! I have tested the camera (PAL) in a television (PAL) and it gives a nice image.